Very Large Photovoltaic Solar Power Plants (VLPVPPs) are a major revolutionary step up not only for economies of scale, but also for %100 renewable power Global Grid. Their designs and investments should be performed in an environmentally friendly, fair, open to very large to small private investors, transparent and reducing relative income inequality approaches. Their investments will easily be possible with new investment models (%0 interest load, %100 private equity, open investment for ordinary people, project developers, private companies etc. with a constraint-based shareholder structuring). These revolutionary investment models will play an important and game changing role. VLPVPPs’ early engineering and investment analysis can be performed on many software. Therefore, validation and verification efforts of those software in advance on the operational PVPPs are essential. This research study aims to present a validation and verification accomplishment of the Solar Star Projects (597 MWAC, 747,3 MWDC) (Solar Star I: 318 MWAC, 397,8 MWDC & Solar Star II: 279 MWAC, 349,5 MWDC) in Antelope Valley near Rosamond, Kern and Los Angeles counties, California, United States with the PVWatts Version 5 model of the National Renewable Energy Laboratory (NREL) System Advisor Model (SAM) Version 2017.9.5. The location and resource, system design data and information of the Solar Star Projects (I & II) are presented based on open source information and personal communications. The Solar Star Projects SAM software models' are simulated on a personal computer (PC) (Windows 10 Pro, Intel(R) Core(TM) i5 CPU 650 @ 3.20 GHZ, 6,00 GB RAM) with the internet connection. The results of eight simple simulations, one parametric simulation and one stochastic simulation are compared with the actual generation data by help of some statistical performance measures (e.g. annual model/actual: 100,0%, annual model/actual: 100,1%, absolute maximum forecast error 39.276 MWh, mean absolute error 11.554 MWh, geometric mean absolute error 8.924 MWh, mean square error 2.662.330.229 MWh, root mean square error 51.597 MWh). Saracoglu, B.O., 2014, “An Experimental Fuzzy Expert System Based Application For The Go/No-Go Decisions To The Geospatial Investigation Studies Of The Regions Of The Very Large Concentrated Solar Power Plants In The European Supergrid Concept”, WSC 18 The 18th Online World Conference on Soft Computing in Industrial Applications, 1-12 December, 4(1), 223-234, World Wide Web. Triki, M.W., Boujelbène, Y., 2017, “A Comprehensive Literature Review of Islamic Finance Theory from 2011 to 2016”, Global Journal of Management and Business Research: C Finance, 17(2), 21-26. Agussalim, M., Limakrisna, N., Ali, H., 2017, “Mutual Funds Performance: Conventional and Sharia Product”, International Journal of Economics and Financial Issues, 7(4), 150-156. Dobos, A.P., 2014, “PVWatts Version 5 Manual”, National Renewable Energy Laboratory, NREL/TP-6A20-62641, http://www.nrel.gov/docs/fy14osti/62641.pdf. 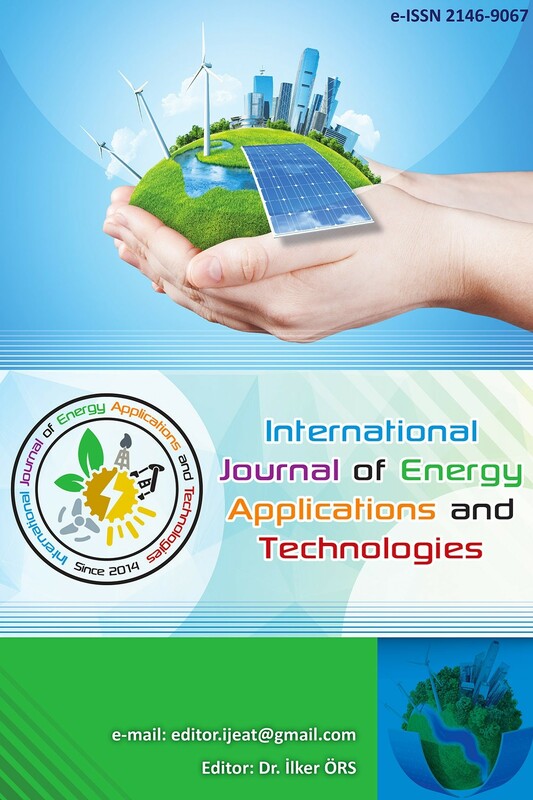 Ibn-Mohammed, T., Koh, S.C.L., Reaney, I.M., Acquaye, A., Schileo, G., Mustapha, K.B., Greenough, R., 2017, “Perovskite solar cells: An integrated hybrid lifecycle assessment and review in comparison with other photovoltaic technologies”, Renewable and Sustainable Energy Reviews, 80(2017), 1321-1344. Saracoglu, B.O., 2017, “SEGS VI & Topaz Solar Farm SAM Empirical Trough & PVWatts Models Case Studies & Validation”, International Journal of Research in Advanced Engineering Technologies, 1(1), 28-41. Saracoglu, B.O., 2017, “An Experimental Fuzzy Inference System for the Third Core Module of the First Console on the Global Grid Peak Power Prediction System & Its Forecasting Accuracy Measures' Comparisons with the First and the Second Core Modules”, Journal Of Energy Systems, 1(2), 75-101. Saracoglu, B.O., 2017, “Comparative Study On Experimental Type 1 & Interval & General Type 2 Mamdani FIS for G2P3S”, Global Journal of Researches in Engineering: J General Engineering, 17(2), 27-42. Saracoglu, B.O., 2017, “Comparative Study On Experimental 2 to 9 Triangular Fuzzy Membership Function Partitioned Type 1 Mamdani's FIS For G2EDPS”, Global Journal of Researches in Engineering: J General Engineering, 17(2), 1-18. Saracoglu, B.O., 2017, “G2EDPS's First Module & Its First Extension Modules”, American Journal of Applied Scientific Research, 3(4), 33-48. Saracoglu, B.O., 2017, “Long Term Electricity Demand & Peak Power Load Forecasting Variables Identification & Selection”, International Journal of Systems Engineering, 6(2), 18-28. Vignola, F., Mavromatakis, F., Krumsick, J., 2008, “Performance of PV inverters”, 37th ASES Annual Conference. Baumgartner, F.P., Schmidt, H., Burger, B., Bründlinger, R., Haberlin, H., Zehner, M., 2007, “Status and relevance of the dc voltage dependency of the inverter efficiency”, 22nd European photovoltaic solar energy conference, pp.1-7. Ongun, I., Ozdemir, E., 2013, “Weighted efficiency measurement of PV inverters: introducing ηİZMİR”, Journal Of Optoelectronics And Advanced Materials, 15(5-6), 550-554. System Advisor Model Version 2017.9.5 (SAM 2017.9.5) User Documentation. PVWatts System Design Orientation. National Renewable Energy Laboratory. Golden, CO.
System Advisor Model Version 2017.9.5 (SAM 2017.9.5) User Documentation. PVWatts, System Design, Losses. National Renewable Energy Laboratory. Golden, CO.
Gevorkian, P., 2016, “Solar Power Generation Problems, Solutions, and Monitoring”, First edition, Cambridge University Press, the U.S.A..
System Advisor Model Version 2017.9.5 (SAM 2017.9.5) User Documentation. PVWatts, System Design, Shading. National Renewable Energy Laboratory. Golden, CO.
System Advisor Model Version 2017.9.5 (SAM 2017.9.5) User Documentation. PVWatts, System Design, Curtailment and Availability. National Renewable Energy Laboratory. Golden, CO.
Patnode, A.M. 2006 “Simulation and Performance Evaluation of Parabolic Trough Solar Power Plants”, Master Of Science Thesis, University of Wisconsin-Madison, Madison, Wisconsin, U.S.
Padilla, R.V., 2011 “Simplified Methodology for Designing Parabolic Trough Solar Power Plants”, Doctor of Philosophy Thesis, University of South Florida, Tampa, Florida, U.S.
Armstrong J.S., Collopy F., 1992 “Error measures for generalizing about forecasting methods: Empirical comparisons” International journal of forecasting, 8(1) 69-80. Hyndman R.J., 2006 “Another look at forecast-accuracy metrics for intermittent demand”. Foresight: The International Journal of Applied Forecasting, 4(4) 43-46. Kolassa S, Martin R, 2011 “Percentage Errors Can Ruin Your Day (and Rolling the Dice Shows How)”. Foresight: The International Journal of Applied Forecasting, 23.